Generally in politics, politicians do not spare rivals and they breathe fire during the election time. 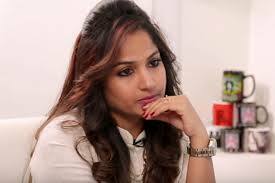 However, much to the shock of all, Madahvi Latha came up with a surprise take on attacking Power Star Pawan kalyan. Madhavi Latha who attracted with her performance in Nachchavule and Snehituda is now contesting for Lok Sabha from Guntur West, Andhra Pradesh on BJP ticket. Madhavi Latha happens to be the diehard fan of Pawan Kalyan, chief of Jana Sena who is breathing fire against BJP and PM Modi. She went on to say, “When my candidature was announced, many people trolled me, but I don’t care. I will give a tough fight. I joined politics to serve the people and not just for time-pass”.